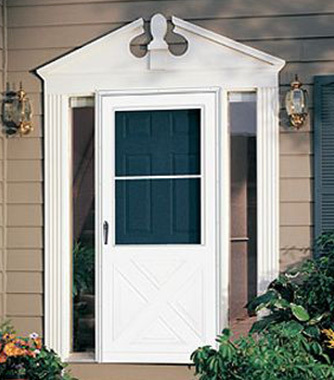 Storm doors are more than just an afterthought. They’re a great way to complement the look of your entrance, while providing additional energy-efficiency and security. We carry a wide selection to match any application…and any budget. Choose from aluminum frame, aluminum-clad wood core, pre-finished wood core, and vinyl-clad wood core doors in colors like Cranberry, White, Almond, Earth-Tone Brown, Black, Sandstone, Hunter Green and more. Storm door color that matches or sets itself off from your home. Glass from simple to ornate. And stunning satin nickel, bright brass, or oil-rubbed bronze accents that add beauty and elegance. It’s all up to you — and all just one, low price! Larson builds craftsmanship into every detail of their doors. Inside and out, Larson doors combine the best qualities of remarkably durable construction and exceptional fit and finish. 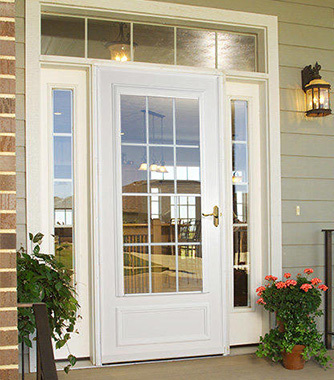 When you buy a Larson storm door, you’re getting an addition to your home that’s as durable as it is good-looking.